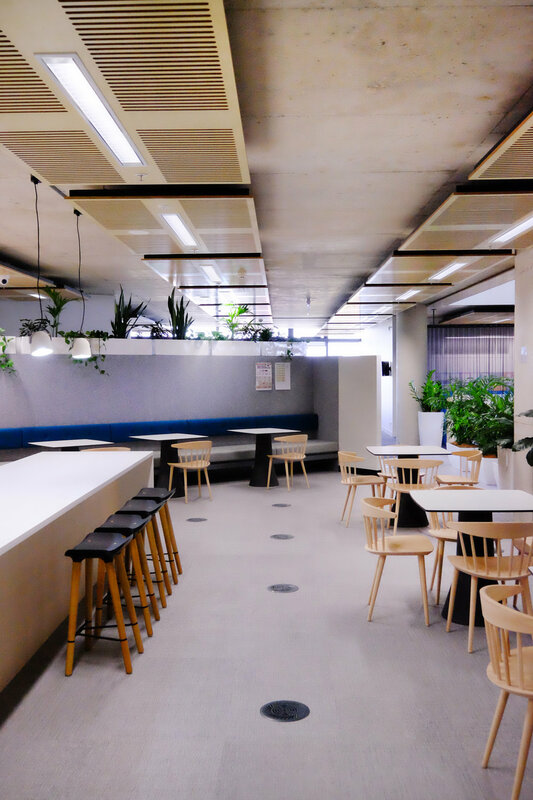 FutureSpace worked with State Plus Canberra to implement the 8 key principles developed for the Sydney project into the Canberra office. The main goals for the workplace were to do with connecting people, providing flexibility, embrace best practice design, providing a great environment, maximizing natural light, supporting collaborative + individual work, embracing new technology and creating a new aesthetic. The State Plus Canberra office is located in New Acton’s award winning Nishi building. Amongst other awards the building won the International Project of the Year at the 2015 Building Awards in London. The building is modern, edgy and sustainable and utterly unique in the Canberra landscape. 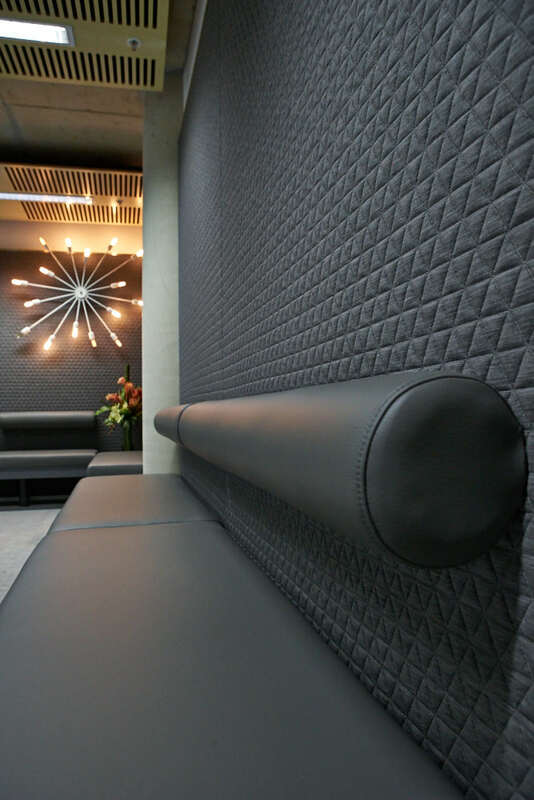 FutureSpace’s design for the workplace aligns with this. State Plus partners with super funds, employer associations and unions who want to offer financial advice to their members, typically public sector employees. The choice of location was significant and the design is centred around the businesses values of authenticity, transparency and putting members’ interests first. SSFS’s workplace is designed to facilitate an imminent move to a paperless environment. The planning was also developed to enable the development of more agile workstyles including the potential for implementation of ABW in the future. One of the main features of the design is the kitchen, which is designed as a big family gathering space and has all the features of a great home kitchen, supporting staff in their goals around work/life balance.